For the second consecutive year, Anisfield-Wolf award-winning authors will close the Virginia Festival of the Book. 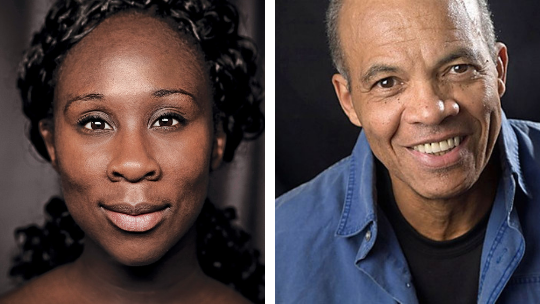 On March 24, two maestros of fiction – Esi Edugyan (Washington Black) and John Edgar Wideman (American Histories) – will join poet Rita Dove to discuss how their historically-attuned writings pierce the legacies of racism. Dove, an Anisfield-Wolf juror and the University of Virginia Commonwealth Professor of English, will moderate. She also led the inaugural Anisfield-Wolf panel at the Virginia festival, which movingly addressed the response of artists to racial violence, particularly the white supremacist mayhem in Charlottesville in August 2017. Anisfield-Wolf winners of that year – Tyehimba Jess, Peter Ho Davies, Margot Lee Shetterly, plus Dove – spoke to the urgent need to tell a complete American story, as Shetterly stressed, and to acknowledge that racism had shed blood on every particle of American soil, as Jess observed. Davies noted that all of their Anisfield-Wolf winning books might be called by Shetterly’s title, “Hidden Figures,” as each of the writers excavated stories less told. Wideman won the Anisfield-Wolf lifetime achievement prize in 2011, four years before the MacArthur Foundation recognized him with a “genius” grant. Edugyan received the A-W award for fiction in 2012 for Half Blood Blues, a story of intrigue set among American jazz musicians in Berlin before and after WW II. It was a Man Booker prize finalist. This program, which welcomes audience questions, will be free and open to the public. Tagged: Esi Edugyan, John Edgar Wideman, Margot Lee Shetterly, Peter Ho Davies, Tyehimba Jess.